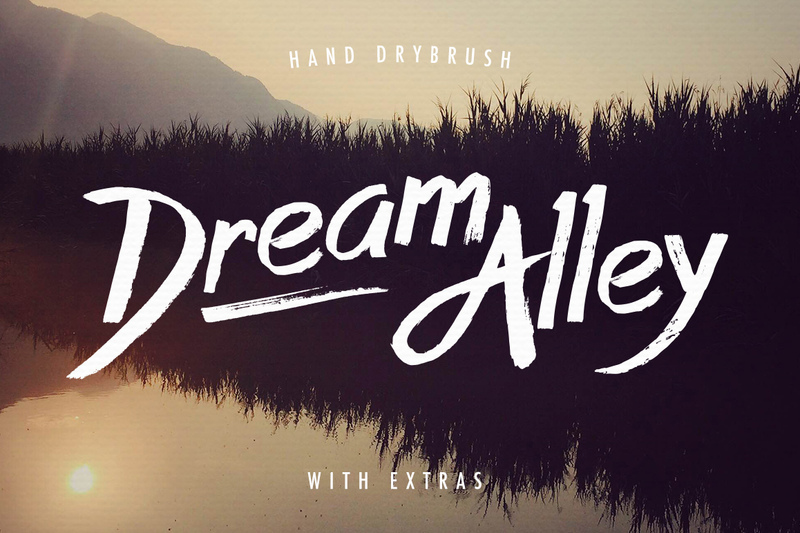 Dream Alley is a dry brush script font created and published by Katie Budin. Characterized by oblique and raw brush lines and little imperfections for that human touch, Dream Alley comes with stylistic alternates for capital letters and multilingual support, very usable for any painting driven design and much more. Walk on the Dream Alley! A font description published on Thursday, August 13th, 2015 in Fonts, Katie Budin by Andrei that has 4,891 views.